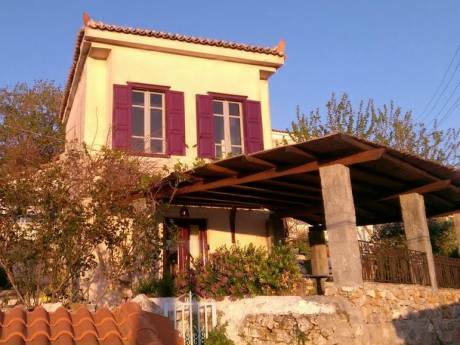 The house is built in traditional Greek (Samos) village style: thick stone walls, woodwork, tiled roof. It has been renovated recently, adding a second bedroom and a roof terrace with a fantastic view over the town and mountains of Samos and, of course, the Aegean Sea. It has all modern comfort, incl. 2 small bathrooms and kitchen facilities. It has been restored with respect for tradition. The house blends in perfectly with its village surroundings. 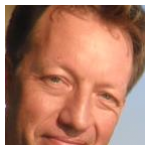 My name is Ruard, and I am from Amsterdam, Netherlands. I am currently working for the EU Commission in Brussels. Previously I have been working as a freelance journalist, and i regularly organise film festivals around Europe, also on Leros. I have already done more than 15 home exchanges through this site, and every single time it was a success. The house is situated in the traditional, authentic hillside village of Ano-Vathy (http://www.samosin.gr/topovilageVathiluk.htm). This is the oldest and arguably the most authentic village on Samos. It overlooks the town of Samos, where the ferries dock and where you find shops, museums, a cinema, a hospital and all other facilities. Various great beaches can be found at a distance of 4-10 km. from the house. The house is also an excellent base for hiking, cycling and biking, which makes it an interesting spot for holidays all year round.